What was it like being born a light-skinned product of a white father and a black mother? Trevor Noah’s book Born a crime allows you to get an insight on the experiences Trevor and his mother went through during apartheid. Born a crime also gives you a better understanding of Trevor’s life off the stage as a comedian. 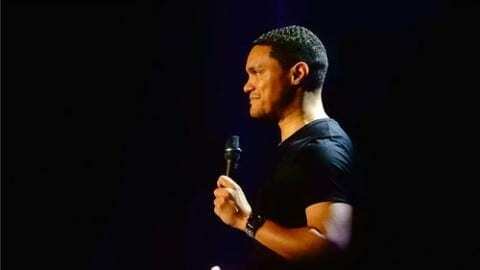 Trevor Noah answers that question with many different examples, such as when Trevor talks about the kids he thought were his friends snatching his bike. After reading this book. I can confidently say that Trevor was definitely able to make his youth experience in Philadelphia relatable because he talks about things that we all have either been through or going through in a lower income city. For example one of Trevor’s book excerpts include a story about how he had gotten pulled over by the police for no other reason than because he is black. The cop starts by saying “ Do you know why i pulled you over” and the interaction ends with Trevor responding by saying “ because I am black and you are a police officer.” Although Trevor experienced those things in South Africa, it’s still relatable for not only the youth but the people all over. Because we live in the city we live in, Trevor’s experience with the police is an everyday lifestyle for the blacks driving through the Philly streets. Next, Trevor talks about learning how to burn Cd’s and sell them when he visits the “hood”. The reason this relates to the youth in Philadelphia is that growing up there were kids having stands that sold water, pretzels, lemonade and things of that nature. From my own experience, I’ve learned how to make my own waist beads for girls who took interest in how they looked. Seeing what people want, and being convenient to provide with reasonable prices is always a way to come up a bill. Trevor found a way to make his experiences relatable to not only the youth but to whoever flipped through the pages of “Born A Crime”. Things are not quite so simple always as black and white. Trevor wasn’t pure and didn’t claim to be. Trevor talked about him and his friend being caught on camera running from the cops. He explains how his friend was captured and didn’t say a thing about Trevor. When Trevor went to school looking for his partner in crime, he was pulled by the principle and questioned about his friend and that night, trying to figure out who the other kid was. Little did the principle know Trevor was the white kid on the screen. Because Trevor was light skin he wasn’t noticed. Things are not quite so simple always as black and white. In conclusion, Trevor Noah, the South African, comedian, Oreo was indeed born a crime. After reading this book, I can confidently say that Trevor was definitely able to make his youth experience in Philadelphia relatable to people all over. In my opinion, Trevor also gives advice in some ways. I would give Born A Crime an 8.5. I say 8.5 because I didn’t miss a few chapters. If it wasn’t for my absences I’m sure it’ll be a 10. A Crime Born by Jaicy is licensed under a Creative Commons Attribution-ShareAlike 4.0 International License. This was a really nice piece of writing. I liked how you used examples throughout your writing that helped to carry your telling of this story. I think paragraph four is really impactful and I believe that you’re making a really important statement here. Below is a source that has similar information to your paper that you might find interesting.